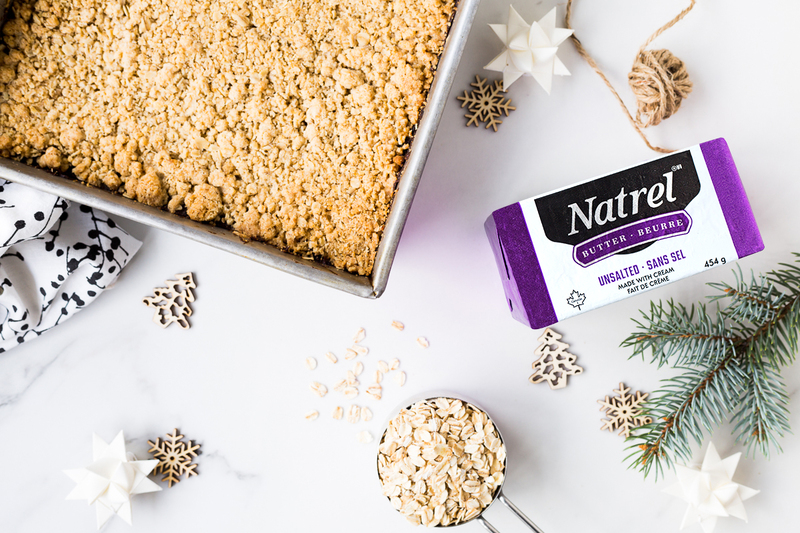 Date squares are a classic Holiday treat that are easy to make. I like to keep them simple so that the sweet flavour of the dates and the buttery oat crust shine through. The most important part of a good date square recipe is to have a solid base. This way, you can cut them and transport them easily as well as eat them by hand without making too much of a mess. In a medium saucepan, heat the dates and water on low to slowly soften the dates. Cook the mixture for about 10 to 15 minutes, stirring every so often. The dates will absorb all the water and form a chunky, soft paste. Let cool. Transfer the date paste to a food processor. Add the vanilla and then process the mixture into a smooth paste. Transfer to a bowl and set aside. Preheat the oven to 350ºF (180ºC). Butter a 9” x 9” brownie pan and then line the bottom with a square of parchment paper. Set aside. 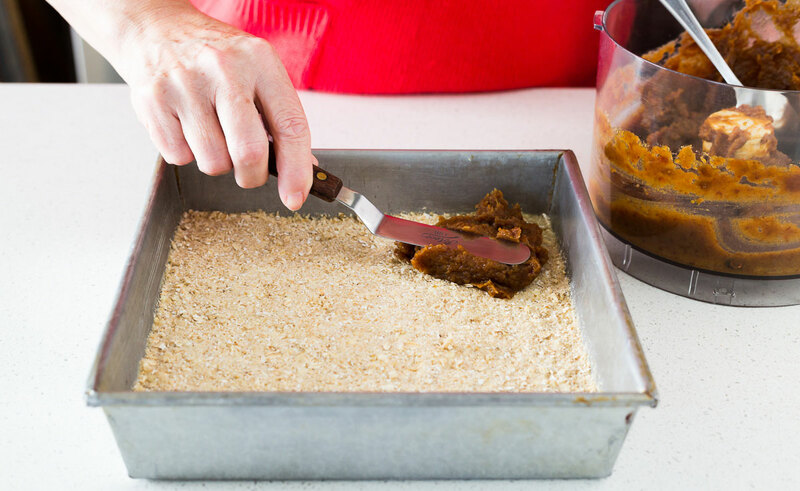 In the bowl of a food processor, pulse together the oats, light brown sugar, flour, salt and cinnamon. Drop in the cold butter and pulse to form a crumble. Take two-thirds of the mixture (roughly ⅓ lb. 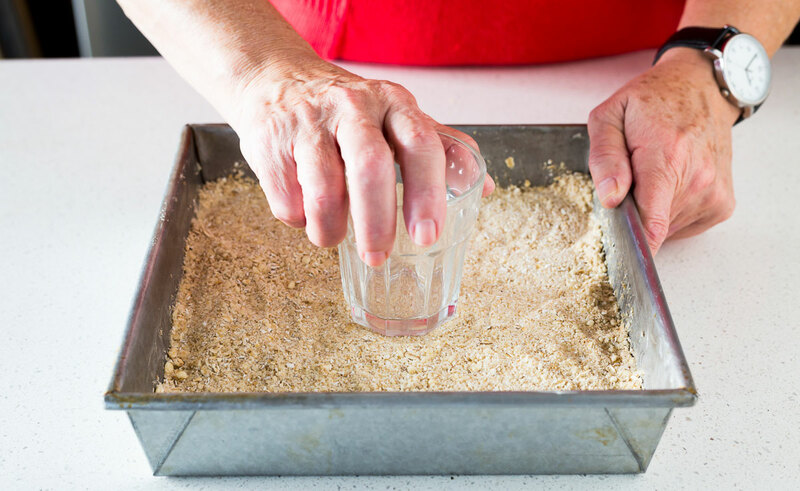 or 600 grams) and press it evenly into the bottom of the prepared pan with your hands or a flat-bottomed glass baking dish to create a very firm base. Smooth the date filling over top, from edge to edge. Evenly sprinkle the last third of the crumble mixture on top of the date filling. Press it gently into the date layer. Bake the date squares for about 40 minutes, until the edges are golden brown. Let the squares cool completely in the pan. Cover the pan with plastic wrap and chill overnight in the refrigerator. Once thoroughly chilled, cut into 16 squares to serve.